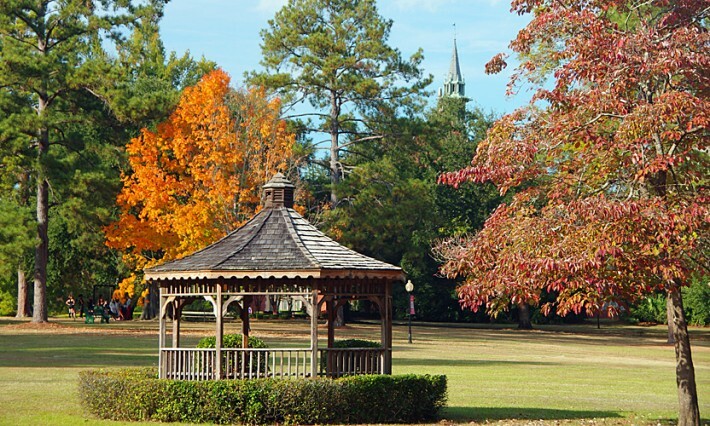 Put on your walking shoes and let’s take a walking tour of the historic Huntingdon College campus! You may view photographs of our campus by choosing a building/location below or take a virtual tour of our campus using eCampusTours.com (make sure you disable your pop-up blocker to view this page). 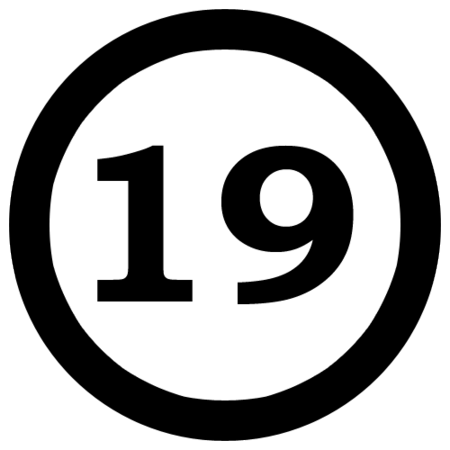 Residence hall for upperclass students, coed by floor or wing. From its beginning, Bellingrath Hall (1928) has served as the College’s science building. It was named in appreciation of a generous gift from Mrs. W.A. Bellingrath of Montgomery. Renovated in 2008, the building houses natural and physical science classrooms, laboratories, and biology and chemistry faculty offices. 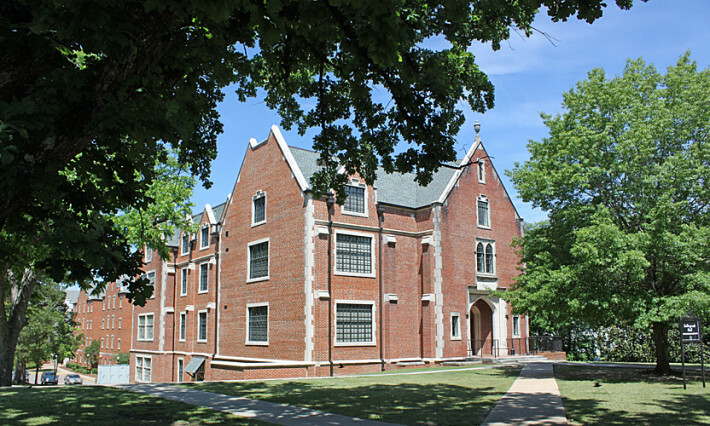 Residence hall for freshman men. 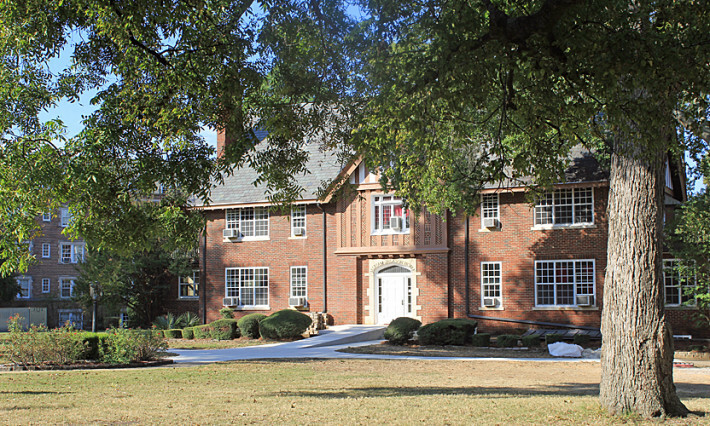 Miriam Jackson Home (1924) was the gift of Dr. and Mrs. Fred M. Jackson of Birmingham, Alabama. 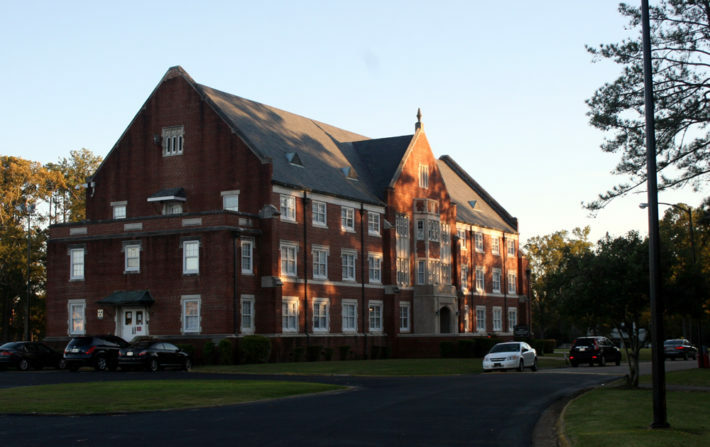 Originally used as an infirmary, it now houses offices for faculty in the Department of Religion; the Staton Center for Learning Enrichment; the Office of Counseling Services; and the Phyllis Gunter Snyder Center for Campus Ministries. 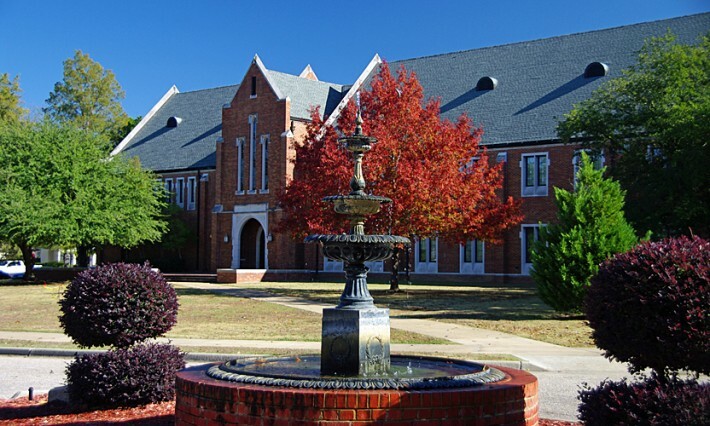 Built in 1909, John Jefferson Flowers Memorial Hall was the first building on the Montgomery campus. Today, it is a hub of campus activity. Flowers Hall houses the Offices of the President, Admission, College and Alumni Relations, Communication, and the Provost, as well as classrooms and faculty offices. Flowers Hall was designed by Harvard University architecture professor H. Langford Warren. Warren modeled the building after the Collegiate Gothic architecture of Cambridge and Oxford Universities in his native England. This building set the architectural style of most of the buildings on campus. Flowers Hall foyer leads into Leon and Myra Allman Ligon Chapel, the site of countless Huntingdon traditions. 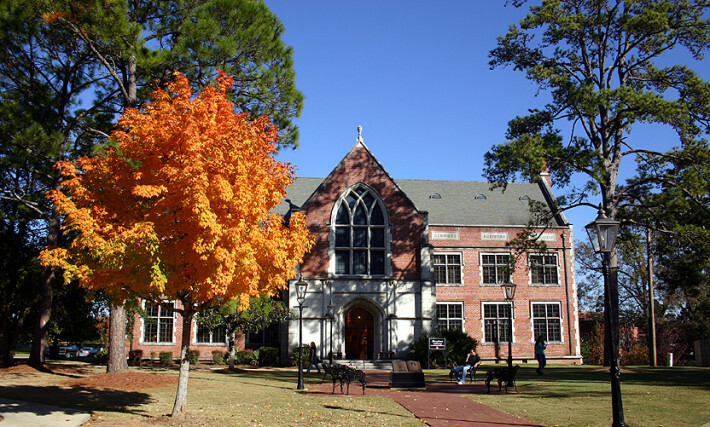 Rededicated September 3, 1999, it was named for Huntingdon benefactors Leon Edward Ligon III and his wife, Myra, whose gift supported the renovation of the space earlier that year. 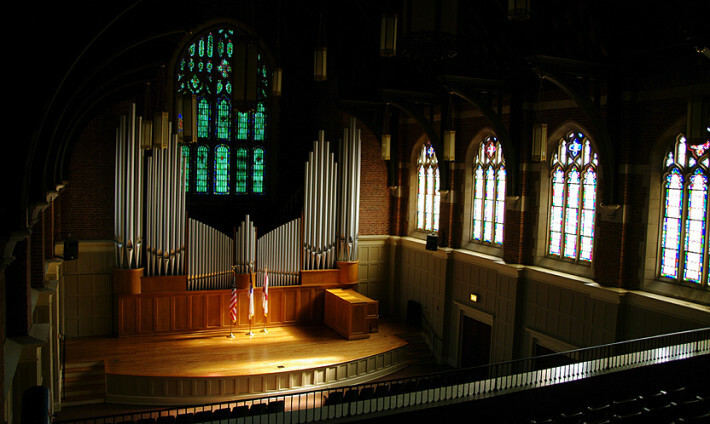 The renovation included the expansion of the College’s Bellingrath Memorial Organ. Designed by the late professor emeritus of music Dr. Harald Rohlig, the organ boasts 141 ranks and a four-manual keyboard. Dr. Rohlig performed the inaugural concert on the instrument in April 2001. 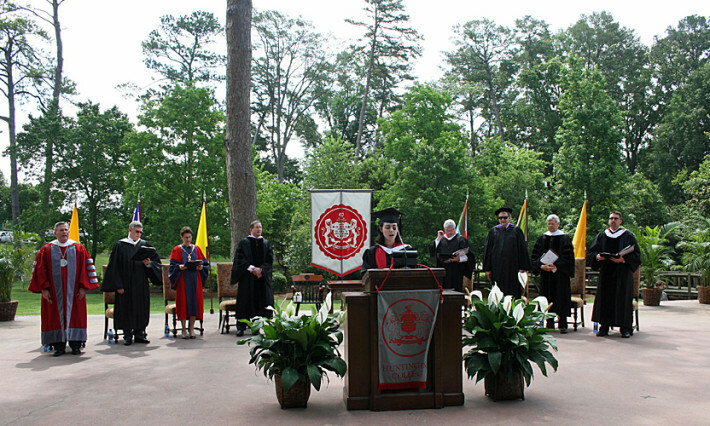 Jean Rodgers Chapel was named in honor of the Huntingdon alumna who served as registrar from 1950 to 1987. Located in the room formerly known as the “prayer room,” Rodgers Chapel seats 12 for small services. 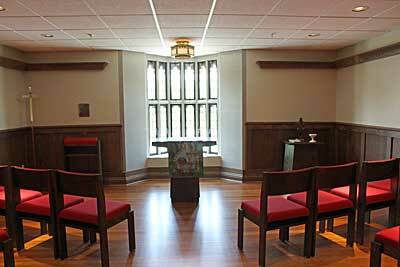 This chapel was dedicated May 26, 2010. Ms. Rodgers passed away October 2, 2011. From its beginning, the College enjoyed the friendship and generosity of Prattville native Julia A. Pratt. 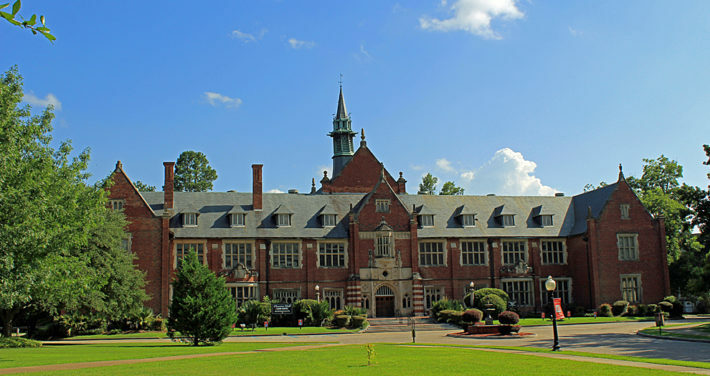 This building, constructed in 1912 as a residence for the president and his family, faculty, and students, was named in Ms. Pratt’s honor. The most beautiful feature of this building is its lobby, now used as the Commuter Lounge (Pratt Lobby, pictured left). 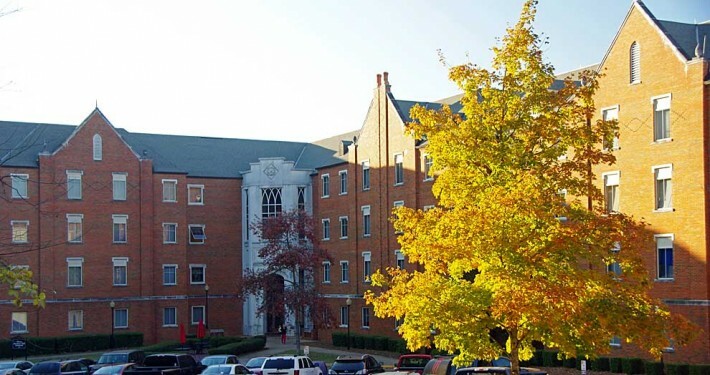 Visitors are intrigued by Pratt Hall because it is the home of the College’s famous ghost, The Red Lady. You can read her story in the book, Thirteen Alabama Ghosts and Jeffrey, written by alumna Kathryn Tucker Windham ’39 and former Huntingdon English professor Margaret Gillis Figh. Weenona Hanson Hall (1924) bears the name of Mrs. Victor H. Hanson. Constructed perpendicular to Pratt Hall, it was funded through contributions by Mr. Hanson and Montgomery citizens. 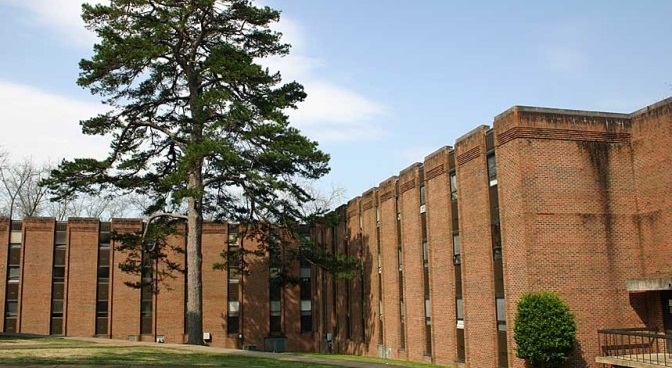 The building is a residence hall and is under renovation, reopening one floor at a time as completed. 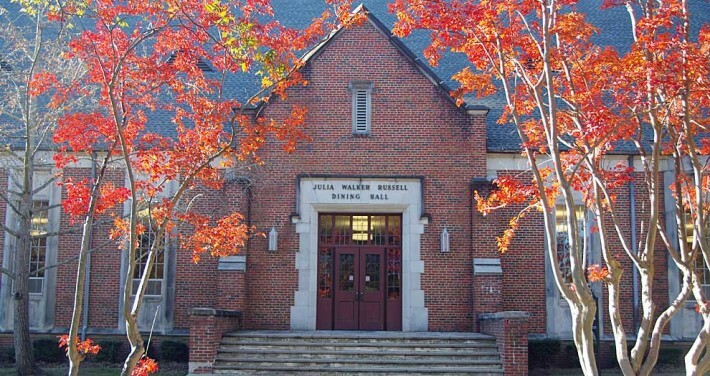 Julia Walker Russell Dining Hall (1963) was the first building on campus to be named for an alumna of the College. The building houses the College’s main dining room with seating for up to 500. Inside, the Mary Elizabeth Stallworth Dining Room accommodates smaller groups. The DH, as it is known to all, received an extensive face-lift in 2013. James W. Wilson Center (1987) was the gift of the late trustee James W. Wilson Jr. as a lasting tribute to his father, James W. Wilson Sr. This facility includes the James J. Durr Amphitheatre and the Robert Bothfeld Jr. 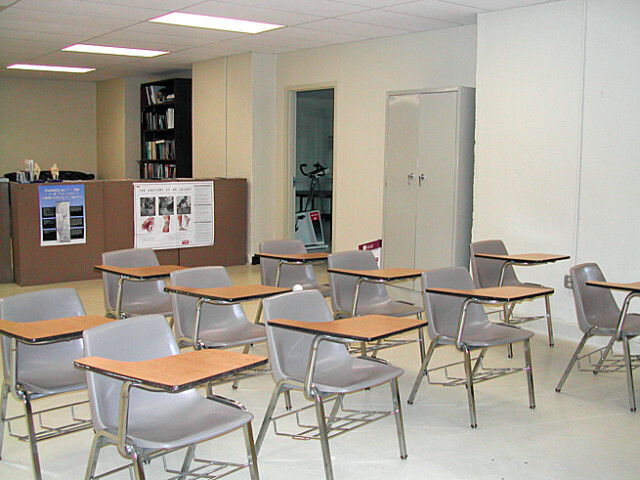 Lounge, as well as classrooms, faculty offices, and comfortable and quiet study areas. Academic programs of study in Accounting, Business Administration, and Mathematics are housed in this building, as are the Offices of Student Financial Services, Business and Finance, the Registrar, the W. James Samford Jr. School of Business and Professional Studies, Technology Services, and Campus Security. 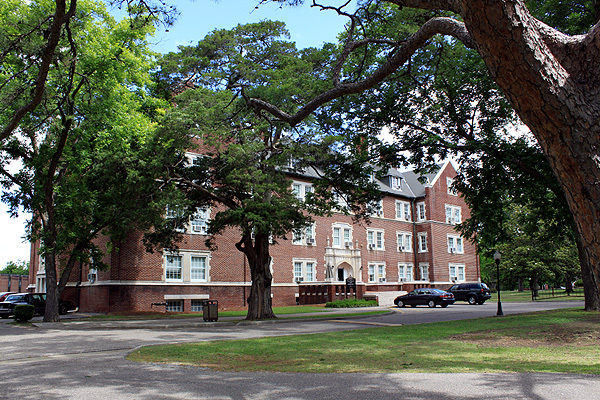 Residence hall for first-year women. Seay Twins Art Gallery (1927) was constructed as the “Toy Theatre,” presenting small theatre productions in that era. In 1972, the College recommissioned the building as an art gallery. The gallery was renovated and rededicated as Seay Twins Art Gallery in August 2007. Its name commemorates twins Noble Seay Jones and Margaret “Peggy” Seay Compton, both members of the Class of 1949. 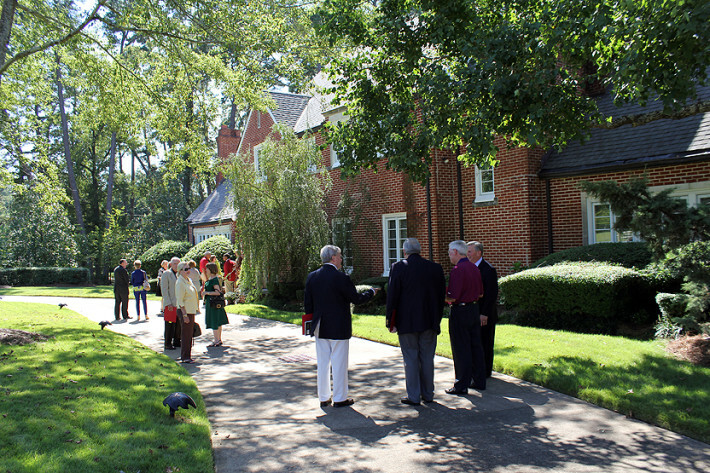 The renovation was made possible by a generous gift from Montgomery architect Renis Jones, husband of Noble Seay Jones. 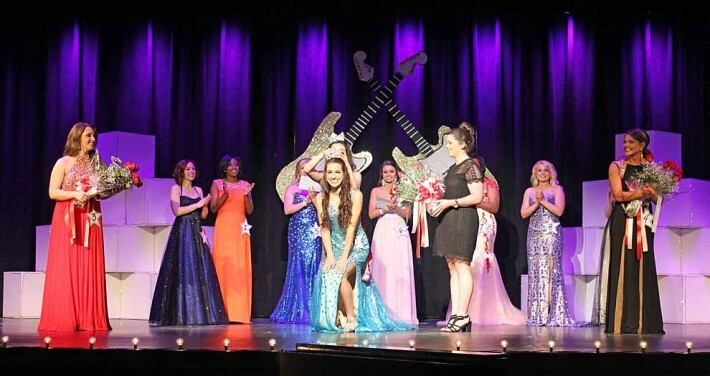 Seay Twins Gallery offers special shows of student and guest artists’ work. 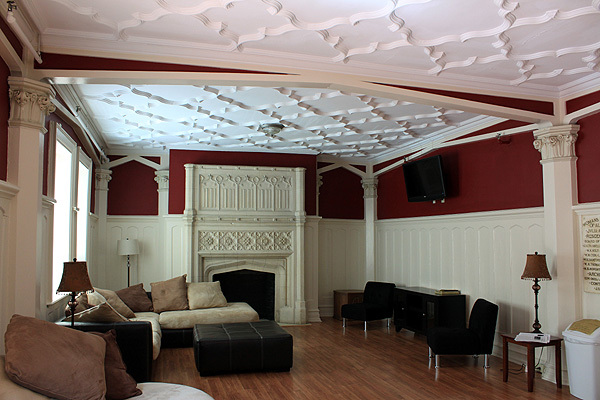 Poetry readings, Capstone presentations, and other academic events are also held in this space. 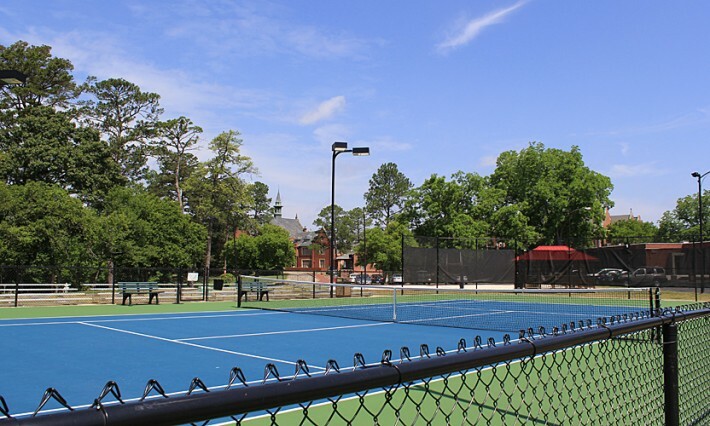 A gift to the Huntingdon Tomorrow Campaign from Mr. George Gibbs funded the renovation and reconstruction of Huntingdon’s tennis courts in 2012. The new courts are built with state-of-the-art materials for intercollegiate play. 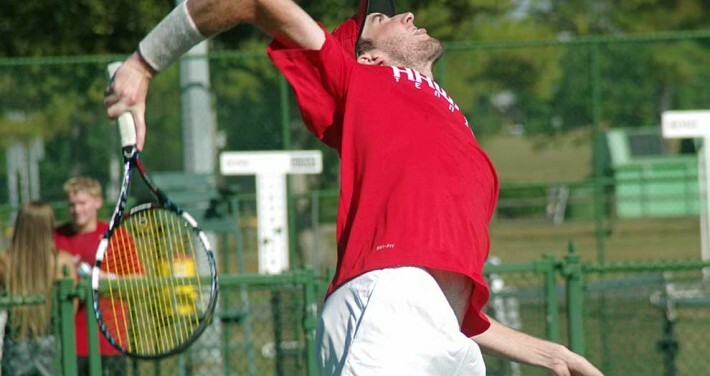 The facilities include eight lighted courts and a gated entrance off of Narrow Lane Road. In his honor, the courts were renamed the George S. Gibbs Tennis Center. Massey Beach is a sand volleyball court used for student recreation and intramurals. It is built in the footprint of the former Massey Hall. 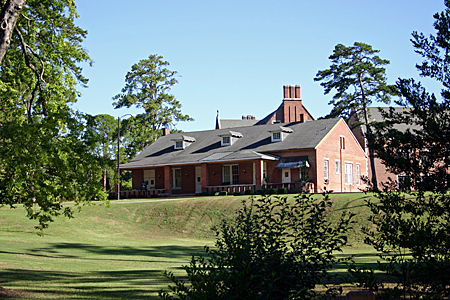 “The Hut” (1922), constructed as the YWCA building, is the hub of student life. The building houses most of the activities and staff serving the Office of Student Affairs. 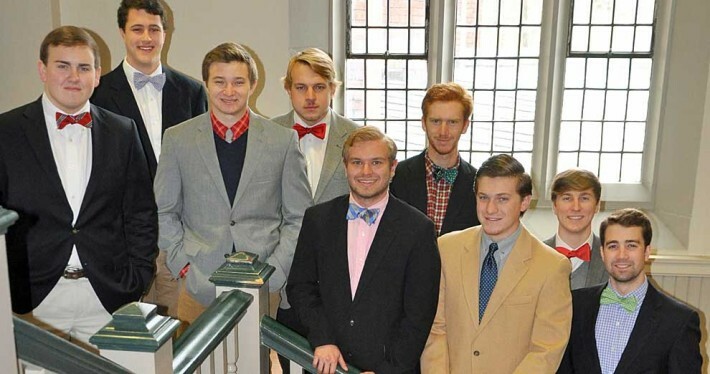 The Hut was built through generous contributions by students, matched dollar-for-dollar by the College treasury. Houghton Library (1929) was named in memory of Mr. Mitchell B. Houghton, a founding member of the College’s board of trustees who served until his death in 1925. Read, study, and gather for study groups with friends in the library’s many nooks and rooms. Enjoy a cup of coffee in the Coffee House. View pieces from the College’s permanent art collection. 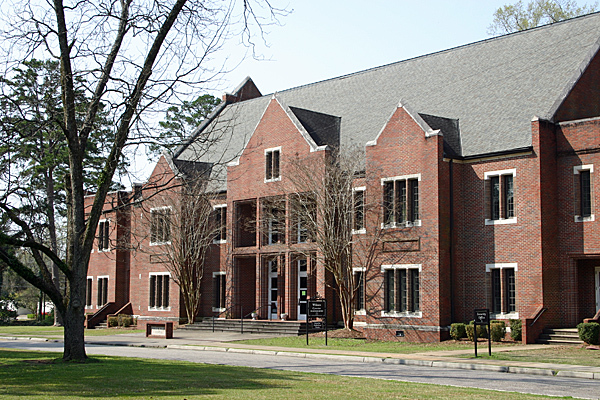 The Charles and Thelma Dixon Wing, completed in 1989, features an atrium with skylights, reading and study areas, and archives for the College and for the Alabama-West Florida Conference of the United Methodist Church. Stop by and enjoy a respite of quiet in the middle of a busy week. Catherine Dixon Roland Student Center (1958) is a multipurpose facility that includes the Catherine Dixon Roland Arena, home of Hawks and Lady Hawks basketball and volleyball; offices for a number of coaches and teams; Charles Tomberlin Fitness Center; locker rooms; the Athletic Hall of Fame; Scarlet and Grey Shop (bookstore); The Hawk’s Nest; and the Print and Mail Services Center. Roland Arena was renamed after extensive renovations in 2010 made possible by a gift from Charles Roland in memory of his mother, alumna and former trustee Catherine Dixon Roland ’58. Roland Arena rocks when the Roland Rowdies cheer on the Hawks and Lady Hawks basketball and Lady Hawks volleyball teams. The arena also hosts other athletic and special events. 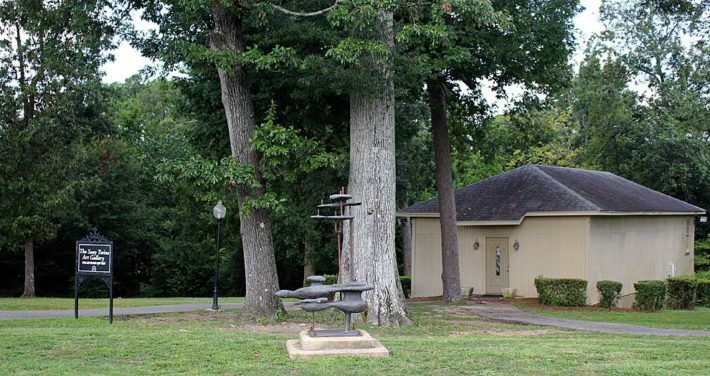 The Huntingdon Bands Rehearsal Hall, located on the side of Roland Student Center facing Narrow Lane Road, opened in 2018 after extensive refurbishment of this section of the building created the facility exclusively for use by the members of Huntingdon bands and band staff. Neal Posey Field (1994) is named in memory of Neal N. Posey, who served as head men’s basketball coach from 1957 to 1979 and as athletic director until 1985. 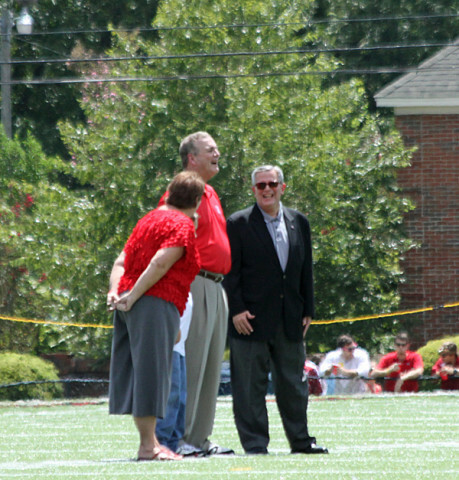 The field was made possible through the generosity of George S. Gibbs and the late Mary M. Gibbs, Huntingdon Class of 1985, members of the Huntingdon Athletic Hall of Fame. 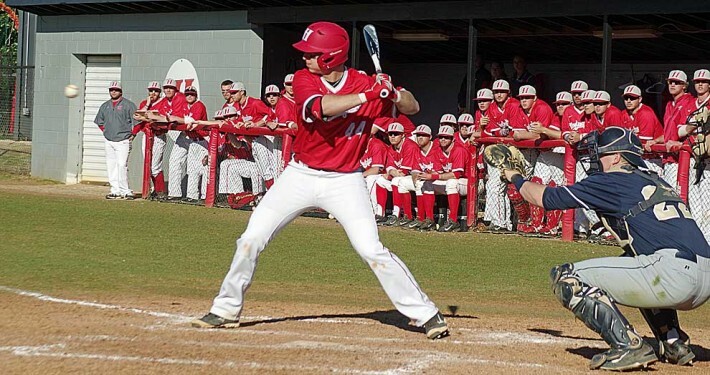 The baseball facility includes a raised spectator area, bleachers, and a field house that includes concessions, restrooms, and an integrated press box. Sybil Smith Hall (1985) is a fully-equipped music facility housing the Lucile Crowell Delchamps Recital Hall, the Julia Lightfoot Sellers Reception Hall, faculty offices and studios, rehearsal rooms, classrooms, a modern electronic music laboratory, offices for faculty in the music program, and one of the most extensive music collections in the South, with more than 10,000 records, CDs, and tapes. 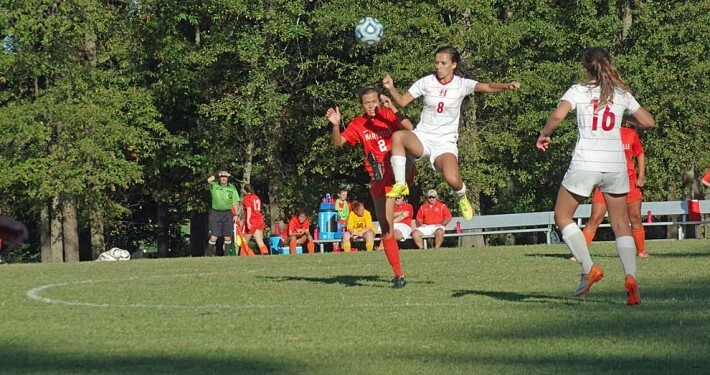 Huntingdon’s soccer and softball fields are located at the southeast corner of the main campus, just across the street from the president’s home and adjacent to Ligon Memorial Residence Hall. The W. James Samford Jr. Foundation supported the construction of separate softball and soccer fields, which were dedicated March 24, 2018. The complex provides new scoreboards, lockers, restrooms, and an indoor press box. At the center of campus, the Green is a naturally picturesque park where members of the College family can stroll across the bridge, relax by the pond, gather in the gazebo, study in the sunshine, and spend time with friends. The Green also houses Top Stage, where a number of traditions and outdoor events are held. The Cloverdale Campus is a 12-acre expansion located across Fairview Avenue from the College’s main campus. 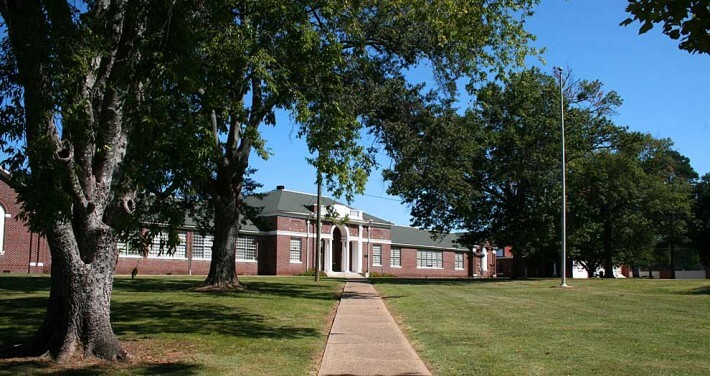 Acquired in 2002 from the Montgomery County School System, the main building on the Cloverdale Campus opened in 1922 as Cloverdale School and later became Cloverdale Junior High School. The facility houses the Leo J. Drum Jr. Theater. The building is now part of the Dr. Laurie Jean Weil Center for Teacher Education and Human Performance. Completed in 2013, the construction of a theater in the former Cloverdale School Auditorium was made possible by a generous gift from the late Leo J. Drum Jr., a long-time College neighbor and friend. Drum Theater’s 246 retractable seats, theatrical lighting, glassed-in control room, and sound system, housed in the historic auditorium where treasured architectural details from the building’s original construction have been preserved, bring an elegant dimension to Huntingdon theater productions. Will and Kelly Wilson Community and Athletic Center, renamed in 2007 in honor of Montgomery businessman Will Wilson, Class of 1990, and his wife, Kelly, houses coaches’ offices and locker rooms and the James W. Wilson Jr. Gymnasium, the home of Lady Hawks volleyball practices and many intramural competitions. 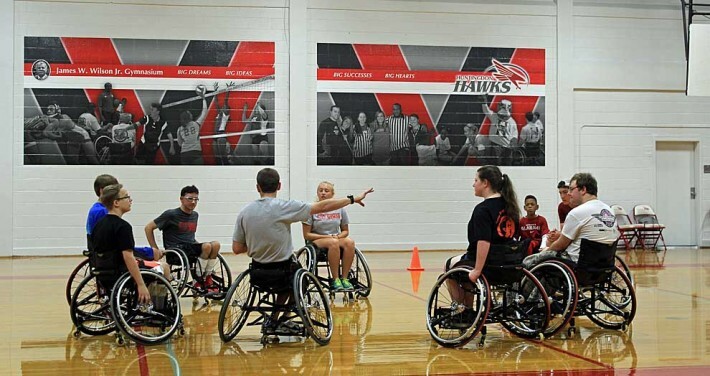 The Sport Science and Physical Education program’s Adapted Physical Education courses in partnership with area schools take place in this facility, as do intercollegiate wrestling matches and Ability Sport Network practices and games. The Weil Center (2004) was made possible by gifts from the Weil family in honor of Dr. Laurie Jean Weil, who served as the chairman of the College’s Board of Trustees for three consecutive terms. The Center was dedicated in Dr. Weil’s honor in 2004 and today houses the College’s Department of Teacher Education and Department of Sport Science and Physical Education programs, as well as classrooms used by nearly every academic program. 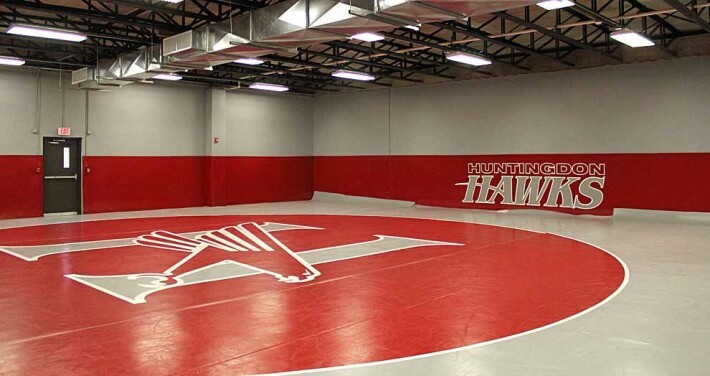 Renovations to transform this building, part of the former Cloverdale School complex, into the home of Hawks wrestling were completed during the 2014–2015 academic year. The facility houses the College’s athletic training and sport medicine equipment as well as the wrestling room and coaches’ offices. 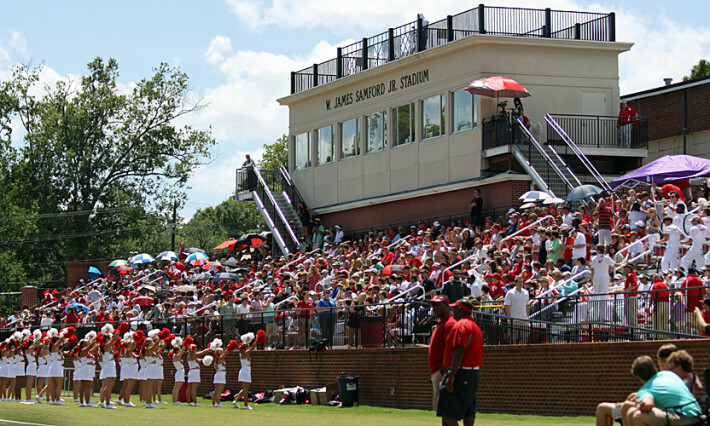 W. James Samford Jr. Stadium (2006), the home of Huntingdon Hawks football and lacrosse, was made possible in part by a gift from the W. James Samford Jr. Foundation in memory of long-time Montgomery resident and attorney W. James “Jimmy” Samford Jr. Stadium seating was built in 2003 to accommodate 2500 fans, including concessions and restroom facilities. 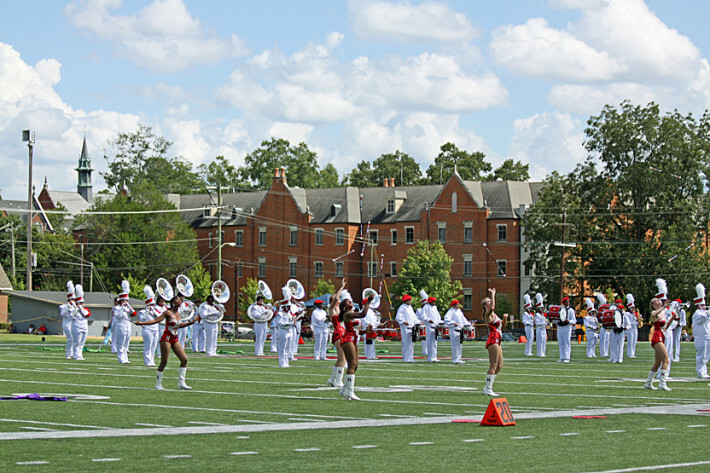 After the addition of media facilities, Samford stadium was dedicated in 2006. In 2011, the stadium was updated and expanded with prescription turf and visiting team bleachers. Charles Lee Field (2003) at W. James Samford Jr. Stadium was named in honor of Charles Lee, a 1962 Huntingdon graduate who became a Hall of Fame football coach with Jefferson Davis High School in Montgomery and who served as the director of Jackson Hospital Sports Medicine. The field is the site of Hawks football and lacrosse games, among other sports. Alice Reynolds Outdoor Volleyball Court was dedicated March 17, 2017, in memory of Ms. Reynolds, a long-time neighbor and trustee of the College, who was an advocate for the community until her death in 2014. This court is the home of practice and intercollegiate competitions for Huntingdon’s women’s beach volleyball team. 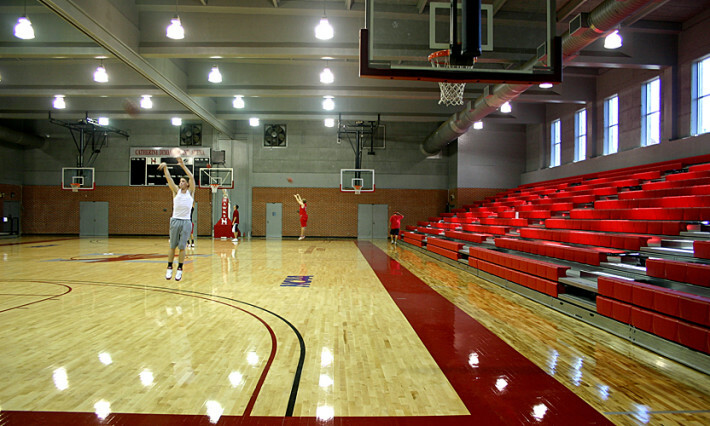 The Field House provides state-of-the-art weight training facilities for student-athletes on the upper floor and locker rooms for the Hawks and visiting teams on the ground floor. The facility was renamed in 2012 in honor of Coach Hugh “Buzz” Phillips, athletic director emeritus and head women’s basketball coach, whose service has influenced the lives of hundreds of students.